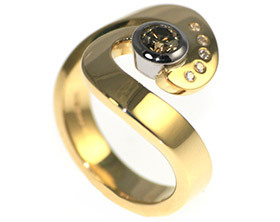 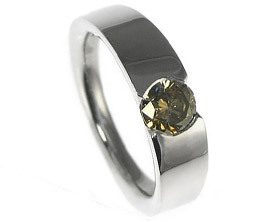 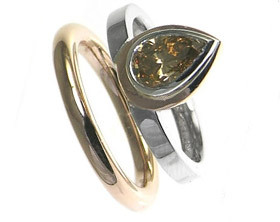 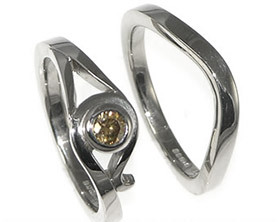 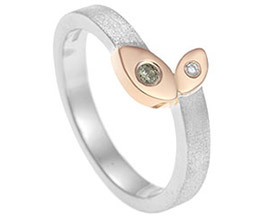 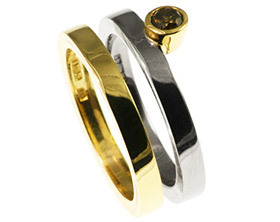 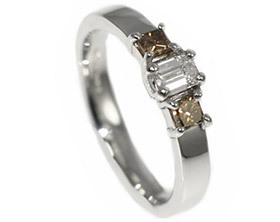 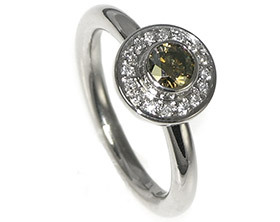 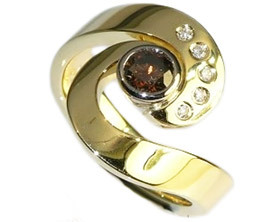 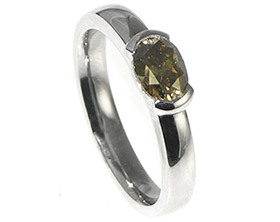 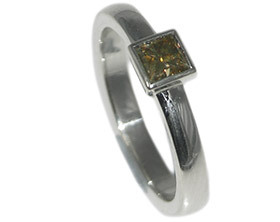 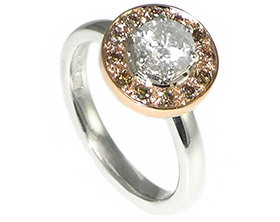 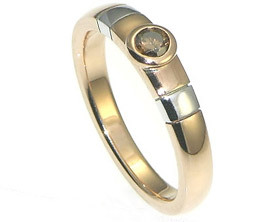 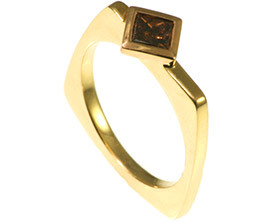 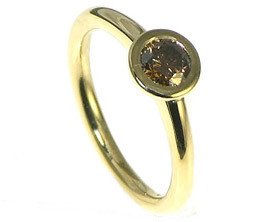 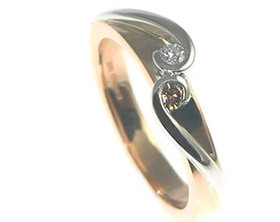 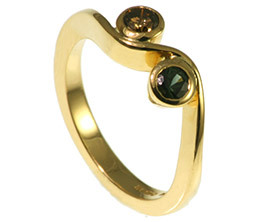 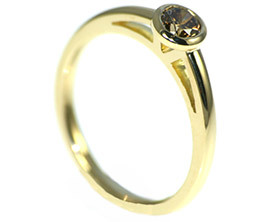 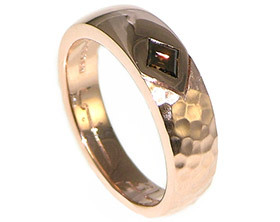 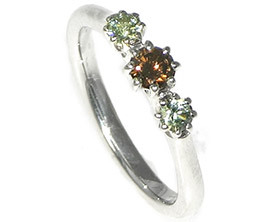 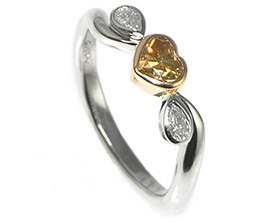 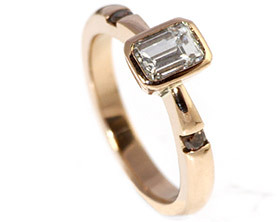 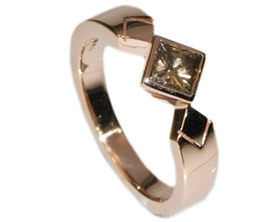 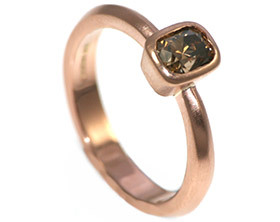 This sumptuous 18ct yellow gold engagement ring holds a beautiful natural 0.70cts whisky-cognac coloured brilliant cut diamond.This beautiful unusual stone measures just under 5.5mm in diameter and sparkles with wonderful flashes of gold and warm brown tones.It has been set in this square shaped setting with 6 pave set 1.5mm H SI white fully brilliant cut shoulder diamonds to contrast the whisky and white diamond colours.The band is about 3mm wide and this unusual ring would particularly suit somebody who loves to wear neutral and Autumn tones but still likes a little sparkle. 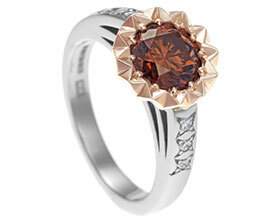 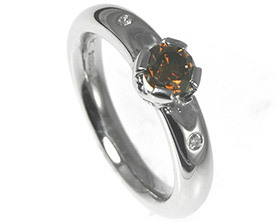 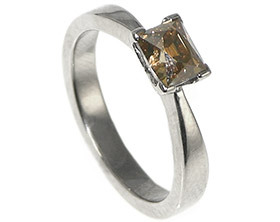 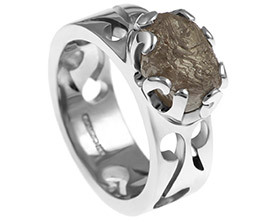 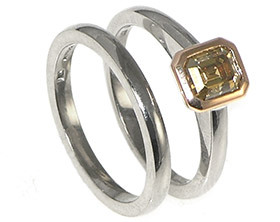 18ct white gold Asscher cut cognac diamond engagement ring. 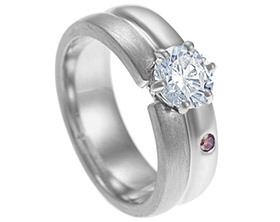 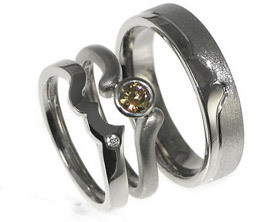 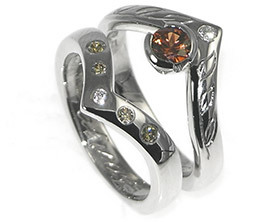 18ct white gold engagement with cognac diamond and a fitted wedding ring. 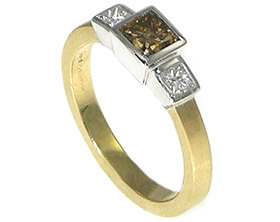 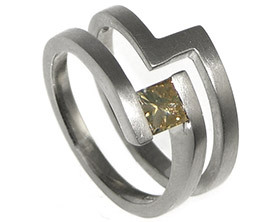 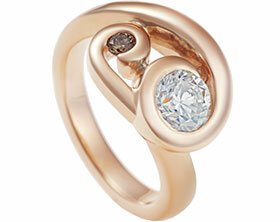 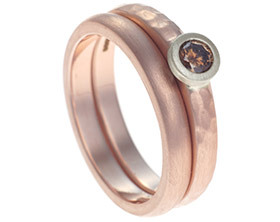 18ct yellow gold and cognac diamond engagement ring. 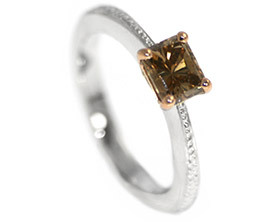 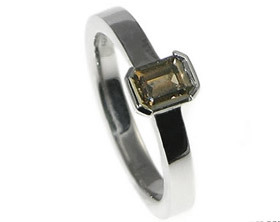 Unique 9ct white and yellow gold engagement ring with 1.56ct emerald cut smoky Quartz. 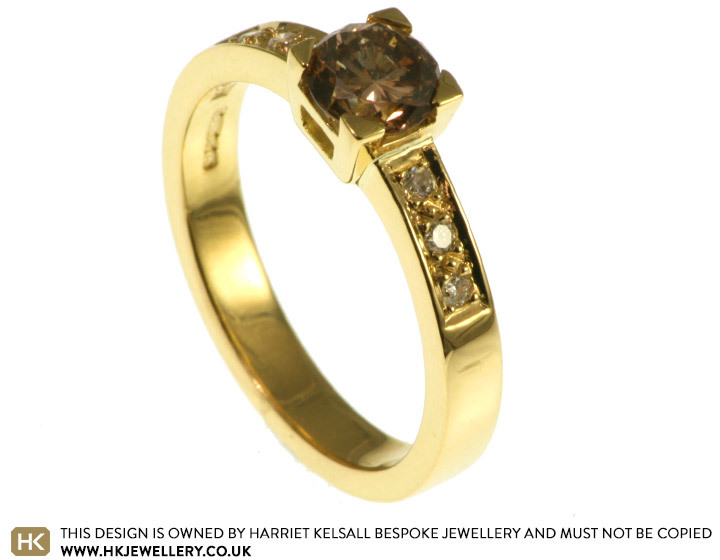 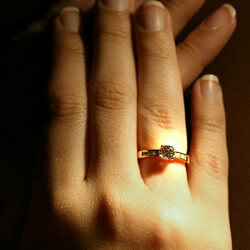 18ct engagement ring with 0.45cts Cognac black diamond.